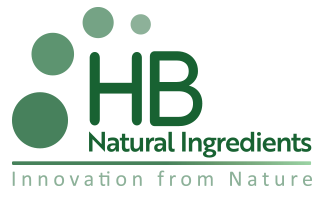 HB Natural Ingredients has assembled an industry renowned management team to propel rapid growth based on a technology foundation, an integrated sustainable supply chain and a robust innovation pipeline. Mr. Zannoni established the international sales and marketing platform for SPLENDA® Sucralose in South America, Australia and the Middle East. In addition to his business development roles at Johnson & Johnson, he most recently held executive operating positions at Zhucheng Haotian, BioPlus Organics and Naturz Organics. Dr. Abelyan is expert in industrial enzymology and biotransformations, particularly in the areas of natural sweeteners, functional oligosaccharides and other physiologically active ingredients. He is one of the founders of PureCircle, where he served as science and technology leader and commercialized various stevia-based sweeteners using innovative technologies. Mr. Bacigaluppo has an extensive record of enabling customer growth in the specialty sweeteners business. He most recently held executive positions of increasing responsibility with PureCircle. Previously, he held senior sales and business development positions with Tate & Lyle and Johnson & Johnson. Dr. Liao is a food scientist with expertise in nutritional supplement technologies, specialty sweetener applications and new product development. He most recently held R&D and technical positions with Heartland Food Products Group and sweetener divisions of Johnson & Johnson. Mr. Lyu is skilled in natural sweetener ingredients and plant resource management, including sustainable agriculture, wild sourcing and cultivation. Previously, he was Product Manager, Licorice and Stevia for the BGG Group, where he developed ingredients for the food and flavor industries.